Dr. Stephen Hardy of Northwest Plastic Surgery Associates is one of the leading cosmetic and reconstructive surgeons in the northwestern region of Montana. He maintains his primary practice in Missoula, Montana, but also serves the residents of Polson and surrounding areas from St. Joseph Medical Center. His years of experience, wealth of knowledge, and clinical expertise are only a few of the reasons that residents from all over Northwest Montana seek out his services. Contact Northwest Plastic Surgery Associates, serving Missoula, Polson, and all surrounding areas, to schedule a consultation with Dr. Stephen Hardy. You may email our office using the form on this page. Dr. Hardy performs outpatient plastic surgery at the Missoula Bone & Joint Surgery Center, conveniently located next to his primary office. This facility is an ambulatory surgery center which has been certified by the Accreditation Association for Ambulatory Health Care since 2002. The certification status means the surgery center provides services of the highest quality and complies with certain rigorous performance measures. Based on the exceptional quality of its physicians, staff, and facility, the Bone & Joint Center was honored as one of Becker's Hospital Review's 100 Best Places to Work in 2010. Individuals desiring reconstructive or plastic surgery in the Polson area may visit Dr. Hardy at St. Joseph Medical Center, a local hospital serving the Flathead region of Montana. 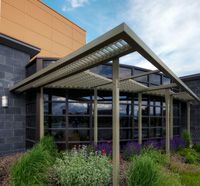 St. Joseph Medical Center is a state-of-the-art facility, staffed by experienced medical professionals, offering the latest in technological equipment, and boasting beautiful views of Flathead Lake. If you live in the Rocky Mountain region and are interested in a consultation with one of the area's leading cosmetic and reconstructive surgeons, contact Northwest Plastic Surgery Associates today. Dr. Hardy serves Missoula, Polson, and all areas in between.